VoIP or Voice over Internet Protocol has gained traction over the years with big brands, as well as SMBs. In the commercial world, businesses were eager to transition from legacy phone systems [aka POT] to telecommunications that could be transmitted digitally. The services of VoIP providers like Telzio responded to the demand from customers looking to cut costs and improve connectivity. 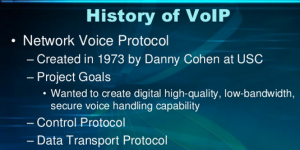 The earliest history of VoIP can be traced back to early 1970s when the Network Voice Protocol [NVP] was developed by Danny Cohen to carry real time voice over the Arpanet. By the year 2000, entrepreneurs had already started exploring cloud-based solutions. The on premise IP PBX solutions gained popularity as they offered myriad benefits in the form of features, costs and productivity. Early providers of voice-over-IP services offered business models and technical solutions that mirrored the architecture of the legacy telephone network. Second-generation providers, such as Telzio have developed closed networks for private user bases, offering the benefit of free calls and convenience. 1973: Network Voice Protocol (NVP) developed by Danny Cohen and others to carry real time voice over Arpanet. 1974: The Institute of Electrical and Electronic Engineers (IEEE) published a paper titled “A Protocol for Packet Network Interconnection”. 1977: Danny Cohen, Vint Cerf, Jon Postel agree to separate IP from TCP, and create UDP for carrying real time traffic. 1981: IPv4 is described in RFC 791. 1985: The National Science Foundation commissions the creation of NSFNET. 1986: Proposals from various standards organizations for Voice over ATM, in addition to commercial packet voice products from companies such as StrataCom. 1991: First Voice Over IP application, Speak Freely, released as public domain. Originally written by John Walker and further developed by Brian C. Wiles. 1992: Voice over Frame Relay standards development within Frame Relay Forum. 1994: MTALK, a freeware VoIP application for Linux. 1995: VocalTec releases the first commercial Internet phone software. Same year, Intel, Microsoft and Radvision initiated standardization activities for VoIP communications system. 1996: ITU-T begins development of standards for the transmission and signaling of voice communications over Internet Protocol networks with the H.323 standard. Same year, US telecommunication companies petition the US Congress to ban Internet phone technology. 1997: Level 3 began development of its first ‘softswitch,’ a term they coined. 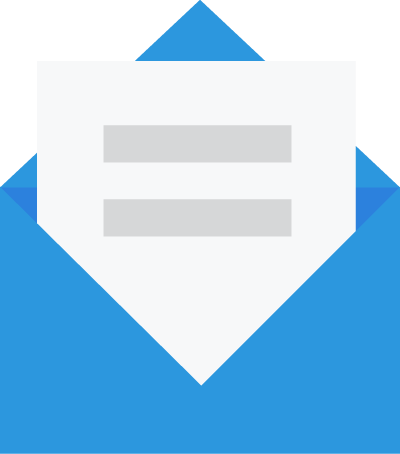 1999: The Session Initiation Protocol (SIP) specification RFC 2543 is released. Mark Spencer of Digium develops the first open source private branch exchange (PBX) software (Asterisk). 2004: Commercial VoIP service providers proliferate. 2007: VOIP device manufacturers and sellers boom in Asia, specifically in the Philippines where many families of overseas workers reside. Because of the bandwidth efficiency and low costs that VoIP technology provides, businesses are migrating from traditional copper-wire telephone systems to VoIP systems to reduce their monthly phone costs. In 2008, 80% of all new Private branch exchange (PBX) lines installed internationally had switched to VoIP. Telzio, based in Los Angeles, California serves businesses worldwide. It was founded in 2013 as a fair and trustworthy solution to existing telecom services. Their service simplifies the way businesses manage their phone systems. From a self-service website to an integrated mobile app, Telzio makes it easy to customize and mobilize business phone needs. From its inception, Telzio was made with one key mission in mind – to be transparent in all aspects. No hidden language, no contracts with years of commitments, no tricky plans that are tailored to get more money from you without noticing. No extra purchases after you sign up. Telzio includes all its features in all plans. This means that with just a few clicks, you can set up auto-attendant menus, forward calls to multiple people at the same time, filter calls based on business hours, create phone conferences and much more. And the beauty of businesses subscribing to their system versus others is transition from your legacy to VoIP within less an hour, with plans starting as low as $1 per month.